“(It is) in Books held (greatly) in honor, exalted (in dignity), kept pure and holy, (written) by the hands of scribes Honorable and Pious and Just.” (80:13-15). Mystics and Saints have always understood that there is a secret to our existence, and “Who knows himself will know his Lord.” It means we have to study ourselves. The story of the creation of Prophet Adam (as) is teaching us that we are not gorillas; we are not a “developed monkey”. We are from Adam and Eve. The Divine is teaching us that there is a reality within us and a nobility to our creation; the animal kingdom is on one side, and the children of Adam and Eve are on a different side, and one reason for this is that the Children of Adam and Eve have the power of manifestation. It means that through your opposable thumb and index finger you are able to hold a pen. The Divine is saying, “I have created you with My two hands and I have blown into you from My spirit. I taught you all the names; taught you knowledge that even the angels didn’t know.” 2:31 Waallama adama alasmaa kullaha The Divine is telling us about ourselves, but most of us don’t take the time to contemplate these meanings. According to the knowledge of Saints inherited from Prophet (s), it means that we are an honored creation, created in the Divine image, and therefore everything about our physicality is holding secrets to our reality. We are seeking to know the Divine, but how can someone know their Lord when they don’t even know themselves? “Who knows himself will know his Lord”, and the first level of knowing the self is to know that we are a noble creation. One secret of that nobility can be found in the hands. 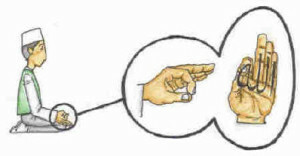 The index finger and thumb have a tremendous secret because the thumb represents your spiritual identity. Each thumb has a unique pattern. Just as they use your thumbprint to identify you in this material world, your thumb holds the reality of your soul in the world of light like a digital file. 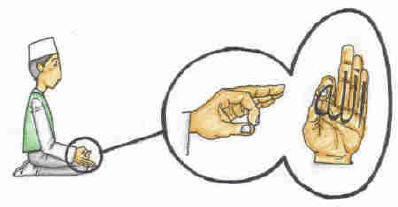 The index finger has a vein which connects directly to the heart, and the heart is always connected to Divine Presence. When you connect the two in meditation, you are going back into the world of light and connecting with your reality in that world of light. As soon as you push the thumb to the index finger, like a barcode the light from your heart is reading that thumbprint and establishing the connection with your reality. Then we must have to have an understanding that our physicality is very limited, and the amount of energy we have to function on a daily basis is also limited, therefore we are seeking the greater energy of our soul to manifest and grant more strength to the physicality. When we connect the index finger and thumb we begin to feel the pulse of the heart, and our focus now becomes the heart, and Divine says, “I cannot be found on Heavens or earth, but I can be found in the heart of My believer.” That connection opens the flow of Divine power, what we call “Qudra”, because the index finger and thumb represent the secret of lam-alif. Newborn infants hold their thumb because they are taking from that power and manifesting in this world, and they grow at an amazing speed with that secret. 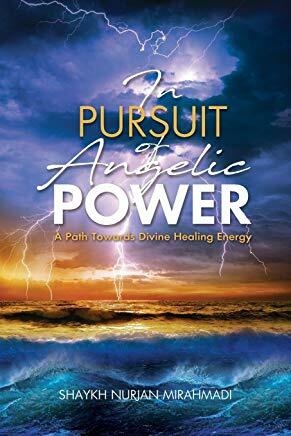 Based on that secret the Divine has given you, as soon as you hold your thumb you have the power to manifest, because from the alif, which is unseen and unknowable, that energy moves through the lam into physical manifestation. That is the reality of La illaha illa Allah Muhammadun RasulAllah. They are two oceans: the ocean of alif, which is La illaha illa Allah – No God but God – and the lam, which is Muhammadun RasulAllah. You cannot know the alif without the lam. It means that you cannot know God except through Muhammadun RasulAllah. This is a deep subject, but one understanding is that when the lam alif comes together, when the thumb and index finger meet, what was no yet manifested can now manifest by means of the pen. The nobility of the children of Adam and Eve is that when something comes to our heart, we have the ability to take a pen and draw it so that other people can understand. It means that we are able to manifest with the qalam, the pen, so that as soon as you hold a pen with that thumb and index finger you have the power to take something from the oceans of Unknown not yet manifested, from the darkness oceans of the spiritual and hidden realm, and bring that thing into existence in this world. That level of nobility is unique to our creation. The Divine is saying, “You are a not an evolved gorilla!” A gorilla may think many things, but it can’t write them down and explain them to people; it can’t make ideas manifest. 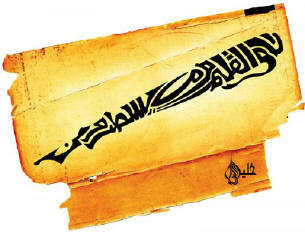 The first revelation that was given to Prophet (s) was, “We taught by means of the pen” (Al-Alaq). “Read! And thy Lord is Most Bountiful. It was the first revelation because Divine is showing us that everything that follows will be understood through the pen. It means that the Divine is going to teach you through the pen. 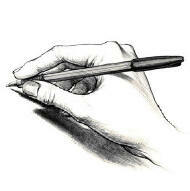 These hands have the power to manifest by conveying knowledge through writing. When a knowledge is inspired in the heart, immediately we reach for a pen and paper or a computer and what was once non-existent has now manifested, has come into existence. We have to break down everything around us to understand and appreciate the honor we have been given, because when we look around we begin to realize that, until very recently, there was no building here; the building that we are in tonight did not exist until the children of Adam and Eve made it to manifest by means of the pen. Somebody writes it, plans it, draws it, manufactures it, and builds it. And everything you see around you is from that reality: the cars, the buildings, the roads, the trains – everything! None of that would exist if not for the children of Adam and Eve. If this is true for the material world, what about the reality of our soul? There must be a Heavenly secret in the hands and the power of writing also. We must know ourselves before we can know our Lord, and to know ourselves we must understand why the Divine is saying, “Blessed be He in whose hands is Dominion”. All of these miracles are manifesting through the secret of the pen, through the secret of the qalam; as soon as you are writing, knowledge that didn’t exist before is manifesting, so Mawlana Shaykh is teaching us that it is extremely important to write these spiritual knowledge’s. All of Mawlana Shaykh’s teaching is designed to help us open a Heavenly purpose for our life, to make our physical life on this earth work for our eternal life. If we are using these hands to document the realities of Sayedena Muhammad (s), then we are reaching to the secret of the hands which have dominion because we are leaving our material desires to become from the reality of the noble scribes. “Qaf wal Quran al Majid”50:1 Qaf waalqurani almajeedi. 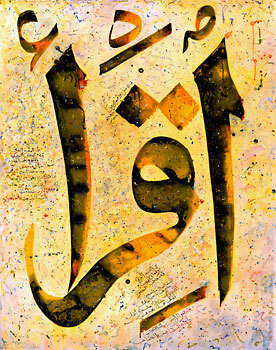 That Fountain of Abundance is knowledge, and Divine is saying “O Muhammad! We have given you the Kawthar! We have given you endless oceans of Heavenly Knowledge”. God is describing that anyone documenting that knowledge is an honorable scribe, and that knowledge is being inherited by Sultan ul-Awliya, Mawlana Shaykh Nazim, and his representatives Mawlana Shaykh Hisham and Shaykh Adnan, so it is extremely important to write these spiritual knowledge’s from their associations. You are in a Heavenly University called Naqshbandi-Haqqani, and out of 6 billion people you were granted a seat, so what are you going to do with that opportunity? The teaching is free, but very few people have such access – don’t take it for granted! Maybe next year it will be written for you not to be here, and your seat will be given to someone else. So spend your time documenting these Heavenly realities; bring a notebook to every association. There is a tremendous power and a tremendous blessing in writing that Saints want to open for their students, because everything that you manifest through writing is going to eternally dress your soul. If your note-taking in school is manifesting sustenance for you now, what do you think about note-taking for your afterlife? If you are spending your life documenting the realities of Sayedena Muhammad (s), do you not believe that Heavenly treasures will manifest for your soul? That is the wisdom of Mawlana Shaykh. His teaching is designed to help us open a Heavenly purpose for our life, and to make our physical life on this earth work for our eternal life, when most people simply waste their time building themselves for this world and at the end of their life they have nothing because you can’t take anything from the material world with you in the grave. All you will have is what you opened for the soul. He didn’t say that your tongue will testify because talk is cheap. What is said from the level of the tongue means nothing; there has to be an action. It means that on the Day of Judgment, how can God punish a servant who has spent their entire lives documenting the reality of Sayedena Muhammad (s)? Instead of wasting your time on material pursuits, you were documenting Heavenly teachings. Every human being is assigned two angels that record the good and bad deeds throughout that person’s life in a book called the kitab, and on the Day of Judgment that book will be presented. But for the lovers of Prophet (s), they will be raised with their own books containing the knowledge of Saints and the other books will be discarded. That is a secret and a mercy from Saints. Normal people are going to be raised with a book of their good and bad deeds. But for those who spent their lives documenting the reality of Sayedena Muhammad (s), those books are going to take precedence because that documentation made the angels to be honored, and you too will be honored on the Day of Judgment. 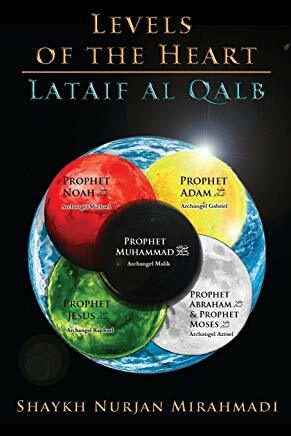 All of this is designed to open the heart to the Divine Presence by aligning your light with the Prophetic light, and this can only be done at the hands of a Master who is connected to Prophets (s). When you find such a Master and follow them, they begin to dress you from their reality, which is the reality of Sayedena Muhammad (s). So as much as you can annihilate yourself in their light, they will purify you and present you to the presence Prophet (s). At that time you will be truly manifesting the reality of the Lord’s Prayer, whereas many people say it by tongue but without an action. The only servants who are following the Lord’s Prayer of Sayedena Isa (as) are the Saints. 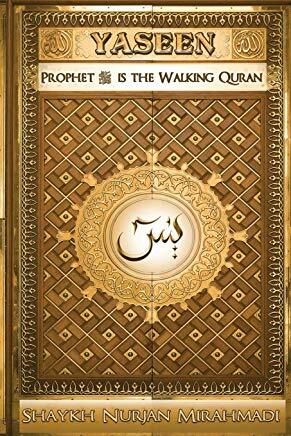 If you are looking for the teachings and example of the Prophets, you must look to the Saints. They are in submission and obedience to the Divine, and therefore they are a perfected reflection of that Prophetic reality. But for us to submit to Divine will is not easy. That is why God lays out a path to that reality by first obeying the ulu amr, the people of authority. When you follow a Master who has reached reality, they can graft their reality onto you, just like a farmer grafts his plants. From one tree, he can graft a thousand to be just like the original. It is the same concept in spirituality. If we are seeking to reach the reality of Sayedena Muhammad (s), we must follow those Masters who are a perfected reflection and they will graft their light onto your light. But to do that you must dive into their ocean. 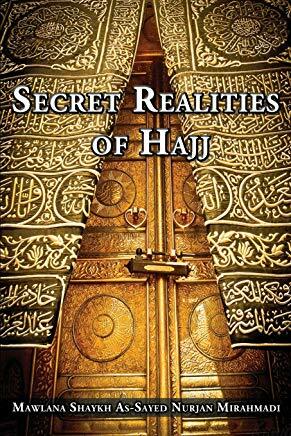 You must read from their kitab, from their books, study their teachings, copy their lives and how they act, visualize their spiritual presence on you, and you must take notes during the association. Without a pen in your hand, the secret of lam-alif can’t manifest – the secret of your Heavenly reality can never manifest in this world. If we don’t write, a change will never come. That knowledge will go in one ear and out the other. But if you write and take notes, you are planting seeds that will one day blossom and give you fruit. When you immerse yourself in their light and in their teachings, then like a farmer they can graft their light and their reality onto your soul. From the Words that is their inheritance, their secrets, from their gardens of paradise when we write we are planting their words into our garden which did not exist before. These are secrets from the teachings of the Naqshbandi Masters flowing through the Sultan of Saints, Mawlana Shaykh Muhammad Nazim al-Haqqani, and his representatives Mawlana Shaykh Hisham Kabbani and Shaykh Adnan Kabbani, may God grant them more power, and the fruits that we are writing from them will one day become our futuhat like all of these books and knowledge’s that masters in the past have given to us. Every letter that we write is an eternal blessing that eternally dresses the soul. Until today there are people reading the books of Saints and the books of their students, and God willing, somebody will pick up these books when we’re long gone. And when we leave this life the question will be asked of us, “What did you do with the life that was given to you? Did you waste it in pursuit of money and material desires?” At that time the soul will answer “O my Lord! I spent my life documenting the realities of your Beloved.” We ask that the Divine grant us more energy to write these realities so that they may open for us in our life, and we pray that the Divine be happy with us and the Prophets be happy with us, and that the Saints inspire us to reach higher and higher levels of realities. Our families and our communities are in need of us to reach that light.